The Crystal of the Day for Thursday 5 September 2013 is Honey Calcite. Honey Calcite (also called Amber or Gold Calcite) is a healing stone with special calming properties. It is also known for bringing better decision making abilities. It is a stone that gently amplifies energy. It also assists in the challenges associated with change. Use it during meditation to find your spiritual path. Honey calcite is also used to facilitate astral projection. Honey calcite enhances psychic abilities, astral projection and higher consciousness. It also enhances intellect and memory. Physically, honey calcite is used in crystal healing for kidneys, bladder, female organs, menopause. It is an excellent massage stone. 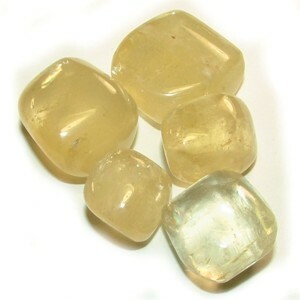 Honey calcite is particularly good for children who have problems with bed-wetting. Honey calcite activates the root chakra, solar plexus chakra and third eye, bringing these into harmony and balance.